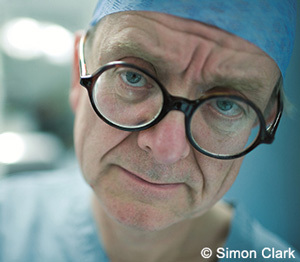 Henry Marsh was one of Britain’s foremost brain surgeons, and worked as Consultant Neurosurgeon at Atkinson Morley’s/St George’s Hospital in London for thirty years. Since retiring from full-time work in the NHS, he has continued to operate and lecture abroad, in Nepal, Albania and Ukraine. His prize-winning memoir, Do No Harm, was a Sunday Times and New York Times bestseller. He has been the subject of two award-winning documentary films, Your Life In Their Hands and The English Surgeon. He was made a CBE in 2010.